World Snooker is delighted to announce that Betfred has extended its title sponsorship of the World Championship for an extra two years. Snooker’s biggest tournament will continue to be called the Betfred World Championship until at least 2019. This year’s event finished on Monday with Mark Selby beating Ding Junhui 18-14 in the final to round off a thrilling 17 days at the Crucible Theatre in Sheffield. 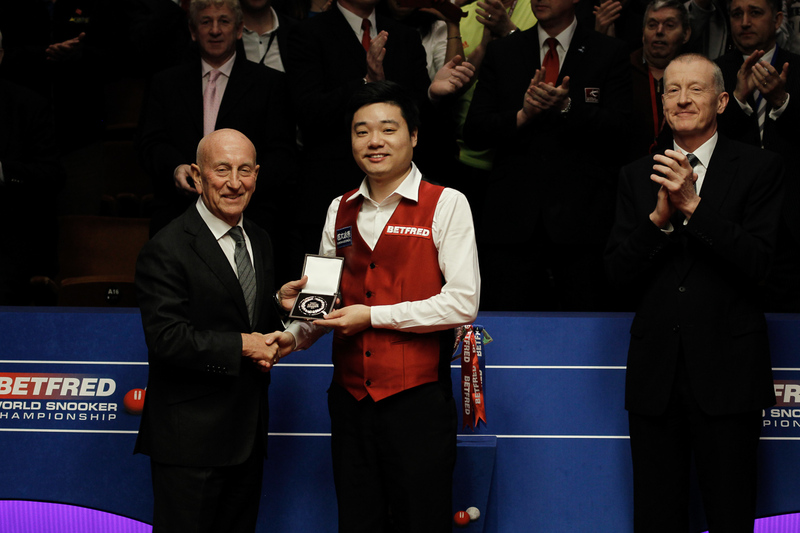 A global audience of over 300 million watched the tournament on television, while tickets for the famous Crucible venue were sold out weeks in advance. Betfred sponsored the World Championship from 2009 to 2012 and then signed a new three-year deal in 2015 which was due to run until 2017, but this has now been extended by two more years. World Snooker Chairman Barry Hearn added: “We are thrilled to have the support from Betfred until at least 2019, they are a fantastic sponsor and a great team to work with. “This year’s Championship generated incredible viewing figures across the globe and set new records at the box office. And the event is already close to selling out for next year.